Barry Schiff provides a wealth of valuable information based on his years of experience. Foreword by Ernest Gann. Soft cover, 330 pages, illustrated, indexed. Developing and maintaining proficiency at the controls is a key concern for pilots at all levels. 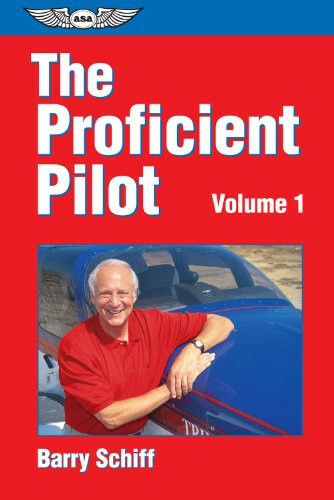 In The Proficient Pilot, award-winning author and veteran airline captain and flight instructor Barry Schiff provides a wealth of valuable information based on his years of experience, concentrating on procedures and techniques not covered in other aviation books. In his foreword to the book, Ernest K. Gann writes, "I recommend you heed Schiff's messages because they are written by a true aviator... Schiff is a true pro, and he covers the whole lofty field of airmanship with the skill and the dignity it deserves." Illustrated throughout with helpful charts and line drawings, The Proficient Pilot should be required reading for all who fly.